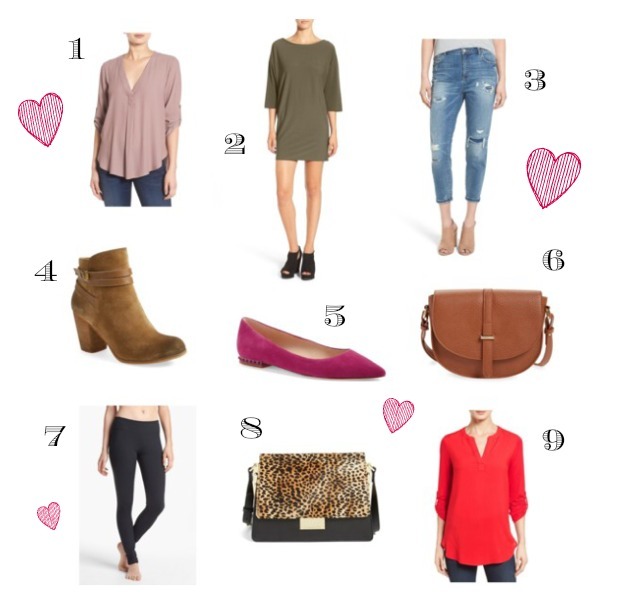 Style in Harmony: Last Call for Nordstrom Anniversary Sale! Are you all having a good weekend!? The #NSale officially ends this Monday, August 8th. You're probably sick of hearing about the sale, but if you've had your eye on something, now is your last chance! I did a quick round up of some of my favorite pieces still available. I recently purchased the BP. Tandem Bootie and the Lush Crepe Blouse (in red) and I love them both! The booties are fully stocked and the Lush blouse has a few sizes and colors left. I highly recommend the Pleione Split Neck Tunic, too (I have it in olive from last season)! And of course, the Vince Camuto Leopard Shoulder Bag is GORGEOUS. So glad they restocked it! I picked up some boots! Can't wait to get 'em. Love your picks! Yeaaa! I love the booties I got. I'm not rushing summer but I'm excited to wear them LOL.